The playback settings I skipped are one-time things that don’t matter for setting up the Nikon D3400, such as creating a slideshow. Image size: Grayed out when shooting RAW; pick “L” for best quality when shooting JPEG, or “M” or “S” for lower resolution and smaller file sizes. Color space: Adobe RGB if you shoot RAW, since it doesn’t affect the photo itself and provides a slightly more accurate in-camera histogram. Keep it at sRGB if you ever shoot JPEG. Focus mode: Matches your chosen settings from the “i” button. Usually, I do AF-C for photographing action through the viewfinder, and AF-S for photographing stationary subjects in live view. AF Area Mode: Also matches your chosen “i” button settings. I prefer Dynamic-area AF most of the time in the viewfinder (3D tracking often fails, and Auto-area AF tells the camera to guess your subject). For live view/movie mode, I prefer Normal-area AF because the autofocus point is the smallest. Built-in AF-assist illuminator: Fires a beam of light to help autofocus in especially dark conditions. This one is a personal preference (and it will be grayed-out if you are shooting in live view); I tend to leave it off because it can annoy the subject, but many photographers prefer it kept on. Format memory card: Only click “YES” when you want all the photos on your memory card to be deleted. This is irreversible, but it is important to do when you switch a memory card into the D3400 from another camera, or you’ve finished offloading all your images onto the computer and you want a clear card. Info display format: I like the look of the second option (black text, white background) for both, but that’s a personal preference. Image Dust Off ref photo: May be grayed out; no need to create one here unless you use Capture NX as your photo editing program and have experienced troubles with dust on your camera sensor. Copyright information: Put your information in; this can be useful in case a fellow photographer finds your lost D3400, or simply to tag your photos with your name in their metadata. Hopefully, the settings above gave you a good idea of how to use the Nikon D3400 and set everything correctly. Again, the specific recommendations above are simply what work for me, and your own needs may be different – which is why so many settings exist in the first place – but these options should be a good starting point. And note that the settings you most recently adjusted will appear in the “Recent Settings” menu, which is good for adjusting things like Auto ISO settings more quickly than finding them within the larger menu. 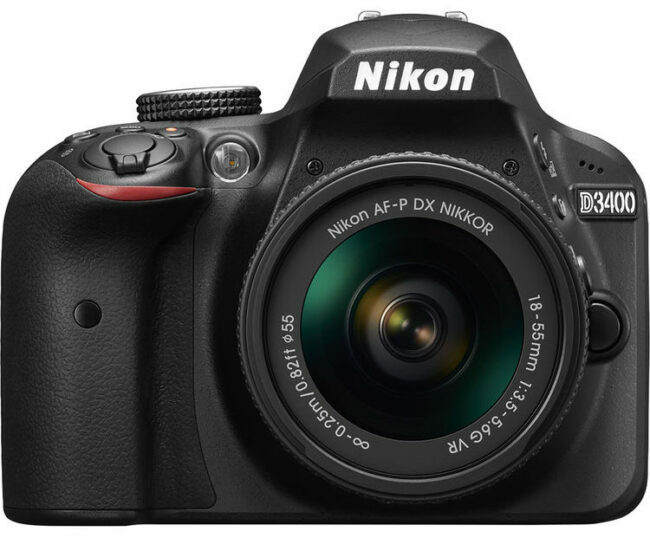 I hope these recommendations will help you get the best results out of your Nikon D3400! And if you have any questions about why I suggested some of these particular camera settings instead of others, please feel free to ask in the comments below. It depends upon the camera. On my Nikon D800e, it is as simple as pressing the “OK” button in live view to switch between exposure emulation and a balanced exposure. But lower-end Nikon cameras like the D3400 do not have this ability. However, you can still pull up the exposure bar on the screen by pressing the “INFO” button, which is better than nothing (and even on DSLRs with the exposure emulation ability, it’s not good to take it as gospel, since there are a lot of factors impacting how accurate it appears versus how accurate it really is). You are quite welcome, glad it helped! · Release locked (both the default setting and the wanted setting). · Enable release (allows the shutter to be released when no memory card is inserted). Thank you, Pete, great spot! I just fixed it. Thank you for clarification and I would like to ask about this camera Is it appropriate to portray the life of the street and focus is fast enough to capture moments and wandering. I have had this camera for a good 6 months now and has helped me learn so much in such a short space of time. I am still having trouble with moving subjects though as they often end up blurred. I am going to change my settings from Auto AF to Dynamic after reading your article in the hope that this makes a difference. I only shoot in JPEG due to my computer crashing every time I load a RAW image! How much does the Active D-Lighting setting make a difference on JPEG please? Thank you. where do you tend to find your pics becoming grainy starting at what ISO?? how do i convert video mode into camera mode…. i want to dissable it and plssss helpp me outt!!! !